Place-holder pages created for these items; more information to be added as it becomes available. 25: Sitewide update for 2011 uploaded 6 days early! Happy Holidays from iSoaker.com and best wishes for the new year! 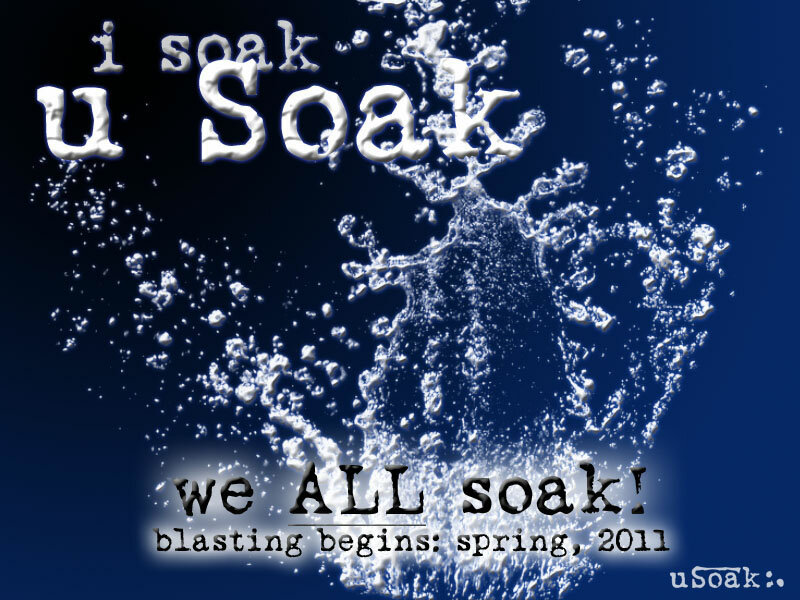 Soak on and Leave NO one dry! More information on each of these items to be added as it becomes available. 5: Internal pictures of the Water Warriors Hydra Pak / Aqua Pak posted. 16: Motorized Super Soaker Thunderstorm (2011) found on eBay?! See the iSoaker.net thread for more details. 15: iSoaker 2010 Water Warfare Poster Contest entries posted to the Galleries. 1: Water Blaster / Product Review Listing page(s) updated. 18: Water Blaster XLR Water Cannon review posted. 2: Water Blaster Mini Water Cannon review posted. 1: Use Facebook? If so, please considing "Liking" the new Water Warfare community page on Facebook and help spread the word on water warfare! 9: Submitted review of the Water Warriors Hydro Pulse posted; submitted pictures of the Water Warriors Hydro Pulse posted, too. 7: Submitted Super Soaker Max-D 3000 Internal picture posted. 1: iSoaker.net in "Phoenix Mode": relaunches as a full community. See the Back to Business thread for more details. 17: iSoakin' Alaska pictures posted. 9: Submitted reviews of the Super Soaker Ironman 2 Blaster and Water Warriors Renegade posted. 29: ThickBoxes - Blaster Inspectors on Review Pages that have them now load "into" the page. Enjoy! 8: The iSoaker.com Product Gallery has been taken offline. All water blaster images reside on their corresponding review page. 2: Submitted video of the Super Soaker Bottle Blitz posted. 21: Submitted review on the Water Warriors Steady Stream posted. 17: Submitted internal pictures of the Water Warriors Equalizer posted. 16: Submitted battle report, Nightime Free-for-all, posted. Submitted review on the Super Soaker Soaker Wars: Shot Blast posted. 14: Submitted review on the Power Soaker Pumper II posted. 1: Submitted review on the Water Warriors Tiger Shark and the Power Soaker Double Bottle Blaster posted. 28: Project: Water Warfare @ iSoaker.com launched. See iSoaker.net thread for more details. Water Warfare section under extensive redevelopment. 27: Site header and footer tweaked. 7: Site page layout tweaked. 3: Internal Pictures of the Water Warriors Vanquisher posted. 14: Submitted review on the Water Warriors Vanquisher posted. 12: Super Soaker Soaker Wars Hydro Fury review posted. Submitted story posted: Hydro Cannon Battle. 8: More updates to the Armoury section on iSoaker.com. Too many tweaks to list. 5: Massive back-end update... hopefully nothing breaks for too long. 26: A lot of range measurements added to the most recent reviews. 25: Super Soaker Soaker Wars Rattler review and Water Warriors Pulse Force review posted. 24: Lots of formatting changes done sitewide. Pretty much all pages apart from the main page have been updated to a modified format. Review pages and product listings have been updated/upgraded as well with more things being experimented with. A couple more reviews are coming soon along with range measurements for most of the new 2010 water blasters. 20: Welcome, Spring, 2010! Sitewide formatting update in process. 18: Super Soaker Soaker Wars Bottle Blitz review posted. 14: Water Warriors Vanquisher review posted. 17: Back-end updating today; the site may behave oddly during this period. Hopefully, not too many links/pages will get broken from these changes. 10: Article on Pressurization System Recategorization posted. 8: iSoaker.com / iSoaker.net Registry section being closed in favor of setting up a whole community Water Warfare Team Listing forum at WaterWarfare.com. 5: Pictures posted of the Water Warriors Pulse Force. 29: Tweaked the Product Review template to allow linking to specific water blaster manufacturers' websites. Currently considering updating how water blasters are classified in terms of pressurization system terminology. 22: Got my hands on a Super Soaker Shot Blast. Whole bunch of pictures posted now, but it will be a little while before I time time to review it properly. 19: 2010 Super Soaker line pictures posted. Also boxed pictures of the Super Soaker SS25 posted, too. 15: More info on 2010 Super Soaker line is here. Looks like Super Soaker and Nerf divisions are merging. 12: While it has been a little slow at putting up updates, things are in the works and hopefully more exciting and interesting information can be shared soon! 1: Happy New Year, 2010!